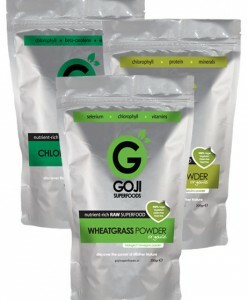 For our Superfoods we chose the Goji Superfoods brand. 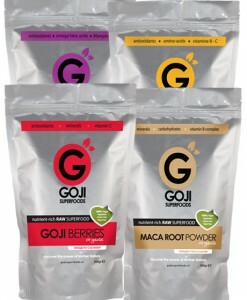 The branding of Goji Superfoods is slightly different than regular Superfood brands. 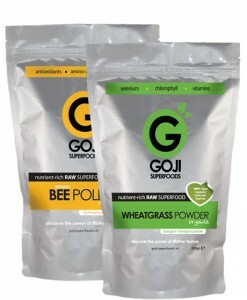 We fell in love with the packaging of the Superfoods, from the minute we laid eyes on them! Like most beauty products these packages are Eye-catchers, and let’s face it, a Superfood is a product for your inner beauty. Obviously, it is not the packaging that counts, but the product. All Superfoods are 100% ORGANIC and of very good quality. The company is SKAL / EKO certified. 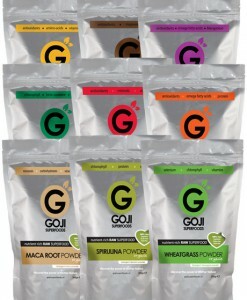 We supply our range of SuperFoods retail packs to retailers and health practitioners at wholesale rates. 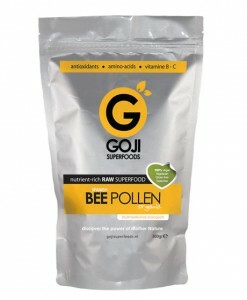 We also supply wholesale packs of bulk superfoods (e.g. 2kg of organic spirulina powder) to all customers.